Sales conversations for professional services can be difficult. By having a simple process, it can be much easier. Three years ago, my beloved Alma Mater—The University of Florida—was marking a decade’s long decline in the performance of its once championship-level football program. Every year, things seemed to just get worse, and the struggle to find success wore on the players, coaches, and fans. Professional service firm owners who struggle to close sales feel a similar dread each time they have a new sales conversation show up on the calendar. You know that you’ve struggled to turn a prospect into a client, so you start “forcing” things and that inevitably accelerates the decline. So how do we turn things around? Well, the football program did what football programs do—they changed coaches. And the new coach brought three critical elements that transformed the performance of the program in just one year—from 4 wins the season prior to the change, to 10 wins the first season under new coach Dan Mullen the following season. So what did Mullen bring that was missing before? He had essentially the same group of players to work with—the same raw talent—so new talent wasn’t the difference. No, Mullen installed three critical elements when he arrived, and these same three elements can be used to quickly transform the effectiveness of your sales conversations. The element of curiosity, excitement, and enthusiasm. Let’s look at how you can use these three elements to improve your sales results. Curiosity, excitement, and enthusiasm in sales. What do we mean by curiosity, excitement, and enthusiasm, why are they important, and how do they apply to sales? Let’s begin with curiosity. One of the things that I’ve observed about Mullen in his public press conferences is that he has this insatiable curiosity about what it takes to get better, for himself as a coach, for the assistant coaches he leads, and for his players. The same quality can be observed in the most successful professionals I know. They’re deeply and passionately curious about the problems their clients are facing, and about how to most effectively solve those problems. And, they’re not ashamed to show their curiosity. Why is this important? When you’re curious, you’re asking questions in search of understanding. Most professionals approach a sales conversation believing that their role is to convince the prospect to hire them. So they talk about themselves. And the prospect doesn’t care. 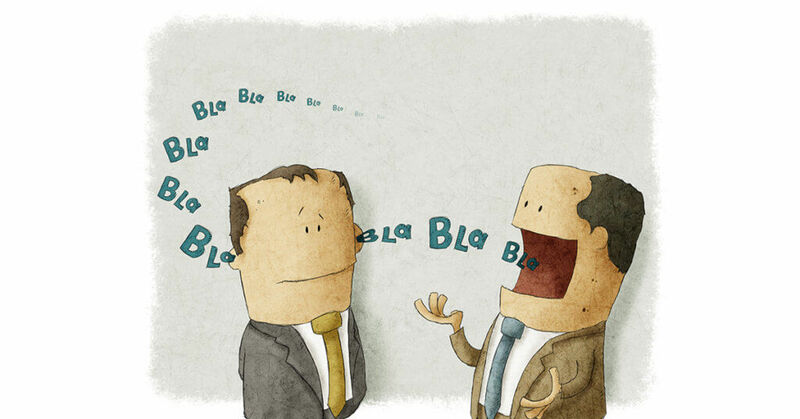 You’ve likely already checked the credibility box by the time you’re in a sales conversation. The prospect wants to know if you understand them, and the problem they have. When I was first learning to sell, we had a consultant help us develop a series of open-ended “probing questions” designed to guide the sales process. I always had a hard time with this approach. It just felt too scripted. And, it lead to some pretty awkward conversations. Yet, I’ve found that simply by being curious (and having one or two general questions to start things off) that there’s no need for pre-scripted questions. The questions flow naturally, because you really, sincerely are curious about the answers. Most of the professionals I know get fired-up when they develop a new and innovative way to solve a client’s problem. I’m going to guess that you’re no different. It’s a rush. That’s the way I feel every time one of our done-for-you clients lands their first new client from our work together. And, I don’t know about you, but I get that same feeling of exhilaration when I’m talking with a prospect and, after really understanding what’s holding them back, I see the solution. It’s exciting. And, I don’t hold back in those conversations. Just this week, I was talking with one of our recent podcast guests and we identified a huge opportunity for him to expand his audience by making one little tweak to some marketing he was already doing. It made my day…and that kind of excitement comes from truly caring about the success of the people you serve. When you have it, it shows, and you can’t turn it off. Great clients are searching for that brand of excitement. Which brings me to the cousin of excitement, enthusiasm. The #1 things you’re selling to every client is confidence. Confidence in you, your firm, your solution, your ability to execute. You must communicate your confidence to a potential client both before and after they hire you. Without it, they lose belief in the solution, and they won’t carry through and get results. Much like a patient who loses confidence in a doctor, won’t fill a prescription, even if it’s the right one. They no longer believe. Your enthusiasm for your client’s bigger, better future will help them believe before the evidence arrives to support their belief. This installation of faith in necessary to move someone into forward motion who’s struggled with a problem for months or years before meeting you. How preparation simplifies sales conversations. It’s common for a potential client to book an initial consultation on your calendar, then arrive at the appointed time, having received little or no communication from you. They walk in cold, and you have to begin at the beginning. This is not only inefficient, it traps you in “pitching mode” because this future client doesn’t know much about you. Explain your unique process – how you work and why it’s advantageous for your clients. Describe what will happen in the consultation – Your biggest enemy as a prospect walks into your office for a meeting is their fear of the unknown. So, remove it. Tell them exactly how the meeting will go, and, importantly, let them know what mutual decisions you’ll make by the end of the meeting. No sense hiding the fact that they are there to make a decision of some kind, deal with it up front. Doing these three things will better prepare prospects, making your sales conversations more effective and (usually) shorter. The importance of process in sales. You’ve heard it before—if you don’t have a process for selling, then you’re at the mercy of the client’s process for buying. And, if you’ve ever been caught in the endless RFP response game, you know that winning in the client’s buying process is brutal. But won’t process, make you sound scripted and stiff? Depends on how you implement the process. To be effective you need a process, but I prefer a “lightweight” process, that’s simple to remember, with just enough structure to keep the sales conversation productive. There are six parts to this “lightweight” sales process, and they exist to guide your curiosity and excitement, and help you lead the prospect through the thinking required to make a decision. Before you can even begin to find a solution for a client, you need to understand the client’s vision of their bigger, better future. If they have no future vision, you’re not likely to win them as a client, because they’re not going anywhere. Or, at least, they’re not clear on where they’re going at this point. Which means that any solution will work, and none are appropriate for them. Without clarity about their future, there’s no basis for continuing the conversation. We’re going on a journey with each and every client, from where they are today, to where they want to be in the future. Without an accurate assessment of where they are starting—the present state—you cannot map the journey. It’s important to invest some time here to really understand where they are starting. Step 3. What’s the gap? Now that you know the starting place, and the destination, you can clearly see the gap between the two. And it’s important that the prospect see the gap as well. Often, they’ve never had a clear picture of it, just a vague sense of where they want to go and an experience of struggle and frustration because they’re not approaching the destination. By itself, the gap is not enough to motivate action. You need the next two pieces. Step 4. What’s in the way? There’s a reason your prospect is speaking with you about this challenge. Usually, they’ve tried to solve it themselves and failed, or didn’t see progress fast enough. Your job is to help them perceive why they’ve not reached the destination on their own. Your job is NOT to tell them why even though it may be plainly obvious to you. You need to give them the space to develop the answers on their own. It’s these obstacles that provide the roadmap for your solution. This is a big, yet often glossed-over step. You must find out if reaching the destination is worth the cost required in time, energy, and money. If it’s not worth it, you won’t be making a sale. And, if the prospect’s perception of the value of reaching the destination is inaccurate (as it often is), you need to help them think through the real value of completing the journey. Again, you can’t tell them the value, but you can ask questions that make them think about things that contribute to value, that they may have overlooked, and you can help guide them as they calculate the value. Why most professionals don’t have a process for selling. These ideas are all very simple and are decidedly not new, yet, most professionals still just wing it. I’ve found that there are three common reasons they spurn these methods. The “my business is different” excuse. Yes, of course, your business is different. But that difference isn’t material here. These principles are useful because they align with the natural tendencies of humans. If humans are your clients, they’ll work. The “it’s too rigid” excuse. Some will argue that even this lightweight structure is too much. They want to be free-flowing and creative. Yet, I find that once you adopt some minimalistic guard-rails for your conversations, you now have much more freedom for creativity, while significantly improving your results. The “having a process feels salesy” excuse. This excuse usually comes from the traditional professions where they are taught to be consultative and sales is frowned upon. Yet, having a process gives you two important advantages. It provides leadership to your client, and it shows that you’re professional enough to have developed a process and follow it. Now, go get after it—improve your sales conversations by simplifying them.